Japanese shoppers are finding it easier to buy from a new kind of online store that replicates what they see in their local supermarket. The Okuwa Company owns over 140 supermarkets in southern Japan but has recently seen a boost to its online sales thanks to supplying its customers with a new computer program. The program allows shoppers to enter a replica store where they can virtually wander around their local supermarket on their PC, picking items from the shelves as though they were in the real shop. This is not an altogether new idea; it has been tried before. But this is the first time that online sales have been shown to increase as a result. The reason behind that is the fact that the program isn’t as virtual as it may seem. It is composed from photographs of an actual Okuwa supermarket. Previous attempts at virtual stores were constructed with clip art and graphics. The result is that the Okuwa program is much more “real” than virtual. What this is about is familiarity. We are used to wandering around supermarkets picking up our regular provisions from regular places in the shop. 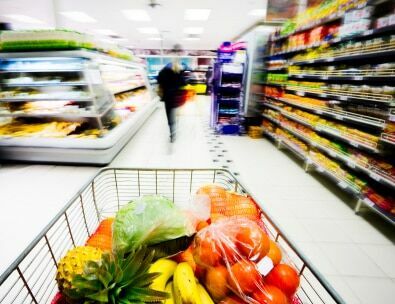 Most online supermarkets, though, make us pick from lists – and that is simply not what we are used to and hence it becomes more time consuming, which in turn reduces our affiliation to it. The Okuwa shop does away with lists and allows you to effectively push your trolley around a completely familiar surrounding. The difference between this and many online virtual shop “environments” is that this time it really is familiar because it uses photography and video to replicate the real world shop. Also, we rarely go to a supermarket to buy just one item. We tend to get a trolley load of regular items and need to wander around to do this. Compare that with the need to buy a specific book, a new plasma screen or a particular item of software. As much as the store owners would like, we don’t “browse”. We don’t go into the local Comet to buy a new plasma screen and come out with a fridge-freezer and a vacuum cleaner as well. We look for something specific. That’s why for such items the virtual online store is less likely to work. So what can we learn from the Japanese success with their virtual supermarket? It shows us we need to start with the shopper in mind and how they behave. Supermarket shoppers behave differently to book shoppers or people buying plasma screens. Even though they may be the same people, they behave differently in different circumstances. That means that if your business offers items for sale online you need to consider how people might be familiar with buying such things. Match that familiarity and you will be more likely to succeed with your Internet selling. And for that reason, virtual shops like the Okuwa experiment are not likely to work in every situation. Indeed, they probably will only really succeed for supermarkets.